Finding prospects, turning them into leads and guiding them through your sales funnel so they become your customers is a tough job. There are too many tasks involved that your sales team has to execute in order for them to close a sale. At times, this can become exhausting and seem like a never-ending job. 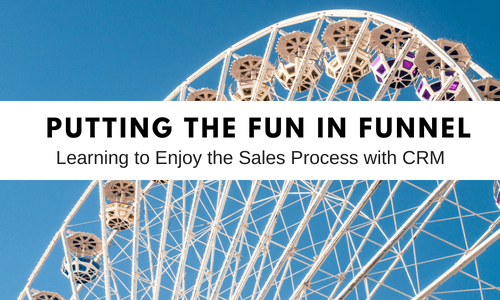 Today, we’re going to show you how you can ‘gamify’ your sales process so that your sales team has more fun doing their job i.e. closing sales. We’ll discuss three major strategies you can implement to make the sales funnel process more exciting and rewarding for your sales team – thus improving their motivation and their ability to close more leads without experience burnout. Most businesses aren’t really mindful of the milestones they are setting up for their sales team. The most common reason for this is that companies don’t map their sales process. Instead, the set up arbitrary milestones that the salespeople have no idea why it matters. What you can do is peel back your sales process to figure out the milestones that truly matter. Closed Lost: These are the leads who didn’t turn into your customer and went cold, thus falling out of your revenue pipeline. In addition to these two milestones, remove any or all unnecessary milestones that don’t make sense to track (for your sales team). The way to do that is to simply break your sales process into steps and make them the milestone. Leads that signed up for trial. Users that completed onboarding and purchased a yearly subscription. Existing users that accepted your upsell and upgraded to a higher priced plan or renewed their subscription. These milestones represent a clear path for your sales team to follow and makes your sales team feel that they are actually accomplishing something and moving towards an end goal. Mapping milestones by breaking down your sales process are the easiest and most effective way to find out and implement goals for your sales team that are actually relevant to moving your sales process forward. That’s right. Constantly looking at spreadsheets can get exhausting real fast, and while it’s a good way to organize information, it isn’t a good way to represent information. A better way to make sure your salespeople easily digest the huge amounts of information they have to process is by visualizing important information using charts. The main chart you should always have on your CRM dashboard is the list of all open sales opportunities in your funnel. The next logical step would be to add individual reports for each member of your sales team so they can easily see which leads they have to follow up and which deals they have to close. Finally, the last – and the best chart you should add to your dashboard is our favorite kind of chart – the pie chart. Not only is this chart great because it sounds delicious, you can use this pie chart to visualize the leads that have been converted into sales – and divide the pie chart based on the number of deals closed by the respective salesperson. This pie chart will not only enable you and your sales team to see who’s got the bigger piece of the pie, it’ll also encourage some healthy competition among your sales team to close more leads. You’re not going to close deals for all the leads you capture. Most companies know this. Yet they mistake the actual ‘worth’ of a lead more often than not which leads to extremely inaccurate revenue forecasts. A good way to avoid this problem is by assigning a ‘deal probability’ to each of your leads depending on what stage of the sales funnel they are in. Suppose you have a product worth $1000 you want to sell to 10 leads. Of the 10 leads, you haven’t even contacted 5, have set up meetings with 2 and have signed the remaining 3 for a demo. The 5 uncontacted leads: 0% chance of closing. Multiply the probability with your product price i.e $1000 and you’ll see what each lead is actually worth. Finally, what you can do is tie these sales forecasts with your sales team’s commissions so they can see exactly what kind of payout they can expect, and what kind of revenue you can expect for your company – making the whole process of finding, nurturing and converting your leads into customers a transparent, fun and easy to understand process. Set milestones that truly matter by mapping it to your sales process, ensuring that no irrelevant milestone is being given attention to. Use charts to provide yourself and your sales team with a convenient overview of available opportunities, each sales team member’s personal funnel status, and their combined closed sales and converted leads. Map probabilities to each lead in order to get a realistic estimate of what kind of revenue to expect for your company and the commissions to expect for your sales team. We hope this method of creating and managing your sales funnel process makes it more exciting, visual and fulfilling. Give one strategy a try and see how it goes. Chances are it’ll work as well for you as it did for us!